Diets became a real obsession nowadays. Specialists try to explain and come up with solutions, magazines promote a certain beauty pattern, sometimes unhealthy, while people struggle to fit in choosing drastic diets and an unbalanced lifestyle. With so many theories and tricks it is rather difficult to see which one is true. Here are biggest diet myths busted! 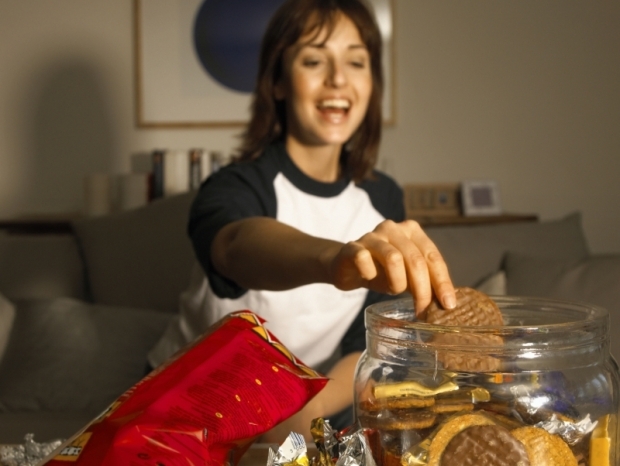 When it comes to dieting and a healthy lifestyle, the topic is rather ample and controversial. Well, with a myriad of diets available, there's no doubt whatsoever that people might feel extremely confused regarding the truth behind all these tips and tricks. Moreover, certain contradictory messages that appear from time to time don't make our life easier. People came up with different theories that promised to do wonders, yet sometimes the result was more than disappointing. Therefore, in order to clear up things, here are the biggest diet myths busted. First of all, we should understand that losing weight is not necessarily synonym with being healthy and happy. These are simple myths since happiness cannot be equaled with a number. By doing so we just increase frustrations and enter into an unhealthy vicious cycle. As for being healthier, this is partly true. Studies have shown that if an overweight person loses just 5% of her total weight this will considerably improve her health. Forget about numbers and start embracing a healthy lifestyle and mentality. The second myth that is highly spread is that dieting is utterly boring. Why this idea? We sometimes believe that eating healthy implies numerous restrictions, which can be quite monotonous. This is false. The truth is that foods rich in sugar or fats can indeed be a tasty, fun treat, but, believe it or not, a healthy diet can also be super savory. This doesn't mean you have to cut all the foods you like, but you need to find a balance. In fact, the key towards a successful diet is characterized through balance and moderation. Another myth is the one saying that carbohydrates make you fat. The reality is that carbs are healthy and good for our energy as long as we don't exaggerate and choose the whole-grain versions instead of the refined ones which are made with white flour. Whole grains are rich in minerals, vitamins and fiber. Carbohydrates supply our body with the energy needed for muscles, central nervous system and brain. You should know that when it comes to its energy, the human brain depends exclusively on carbs. So, eat smart! People often believe that not eating and cutting calories represent the most successful recipe towards a perfect body. It is essential to be aware of the fact that drastic diets with fast results are the unhealthiest solutions one can choose and that can really hurt you. Besides, cutting calories will decrease your metabolism, while starvation can lead to severe diseases such as anorexia. Choose instead foods rich in nutrients and poor in calories such as whole grains and fish. 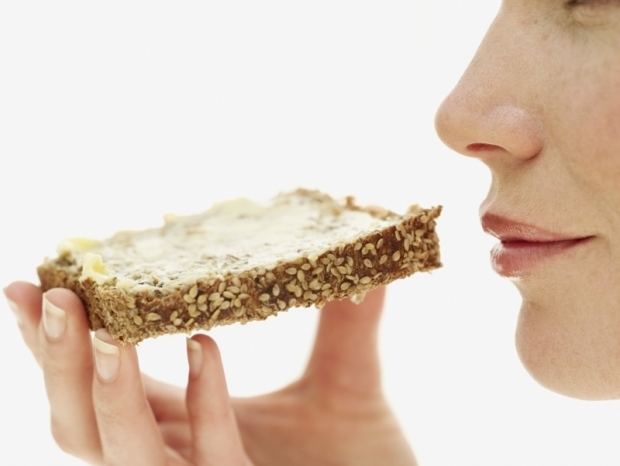 Whole grains make you feel full and therefore you will eat less. Have small and balanced meals in order to keep your metabolism running. 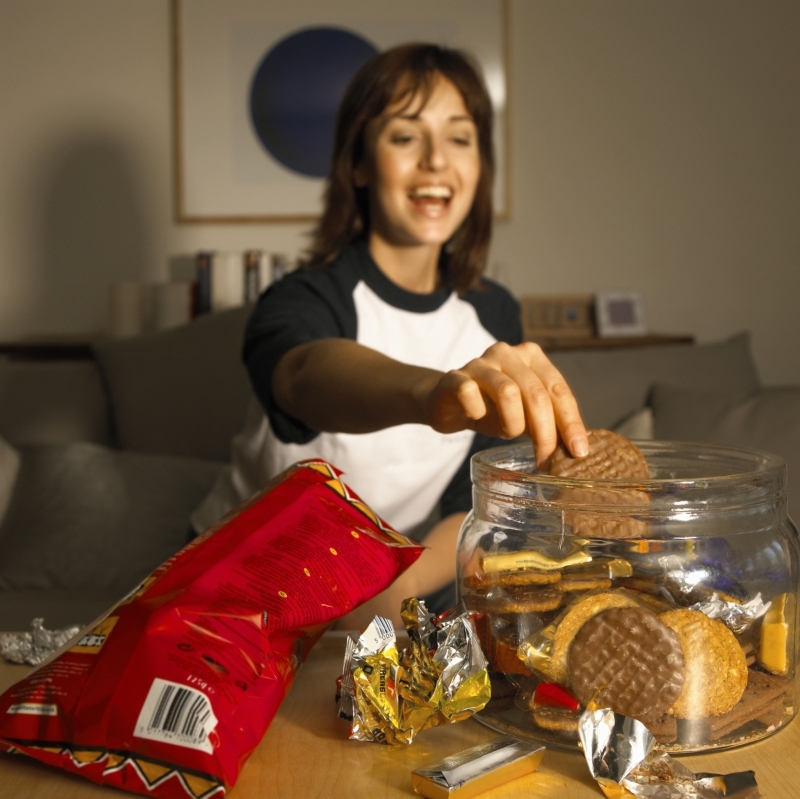 Evening eating is responsible for gaining weight. The truth is that not the fact that you are eating in the evening is the main reason for not being able to control your weight, but the quantity you have. Since some of us are used to skip meals throughout the day, when getting home in the evening we relax in front of the TV and we eat unconsciously. This equals unhealthy late-night snacks and overeating. Therefore, respecting meals is crucial. Diet and fat-free foods are vital when planning to lose weight. How many times did you hear this? All the time. What's the truth behind this myth? Well, depriving ourselves of healthy fats is not the smartest thing to do. In this case too the key is the quantity and the quality. Thus, monosaturated fats in nuts and avocados, but also polysaturated ones found in soybean, eaten in moderate amounts are great for your hearth and they make you feel full for a longer period of time.